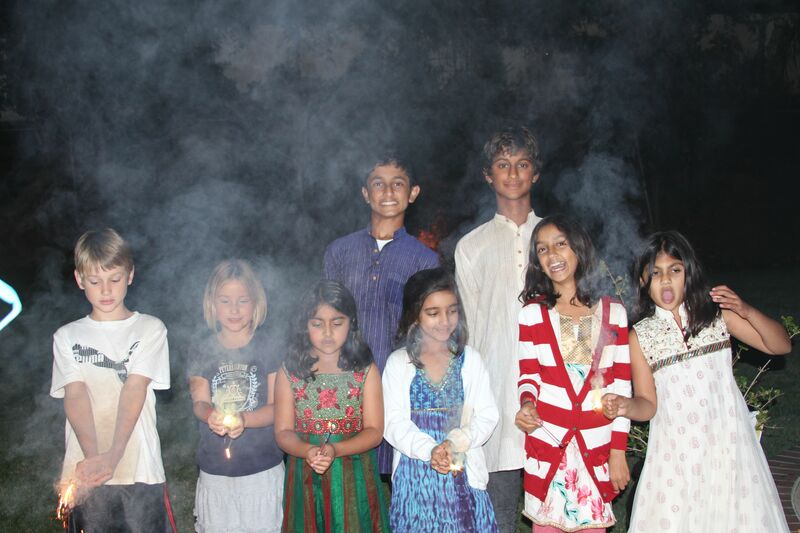 The kids took the day off from school to celebrate Diwali. 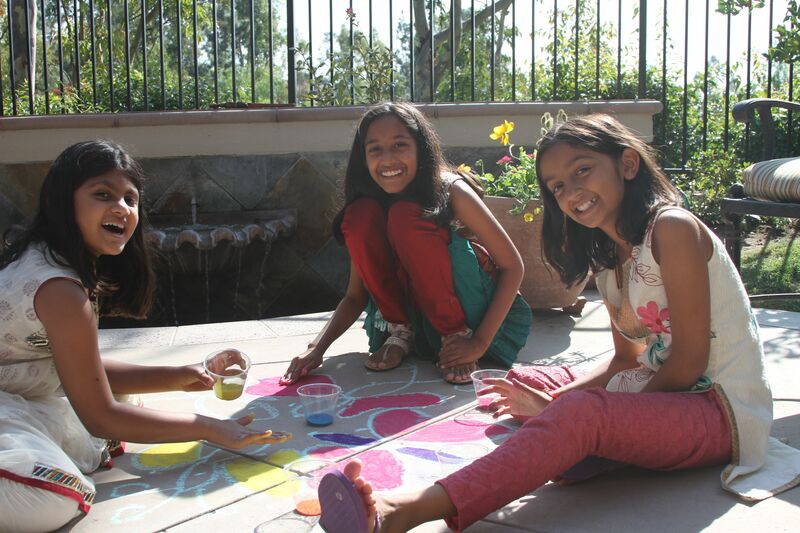 Here are Annika, Mira and Harsheta spending the afternoon in our backyard doing rangoli. 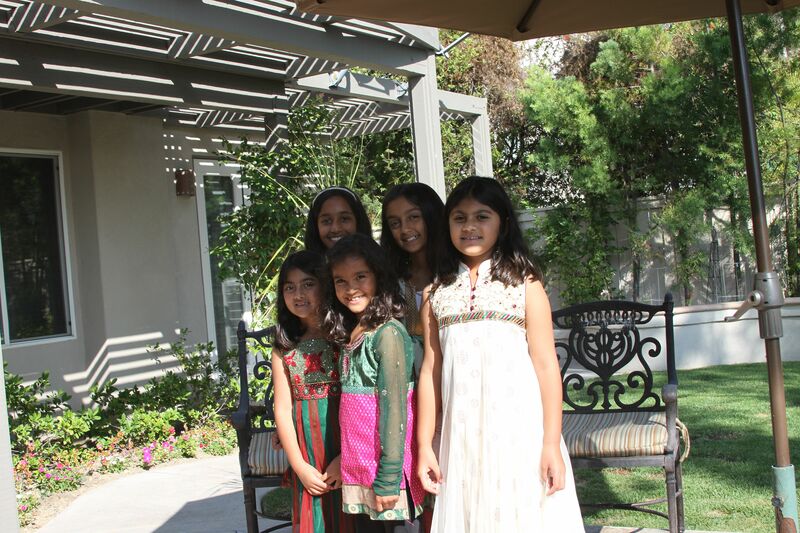 The girls pose for a picture (Ankhita, Mira, Maya, Annika and Harsheta). In the evening, we went over to Arun and Jo’s house for dinner and fireworks. 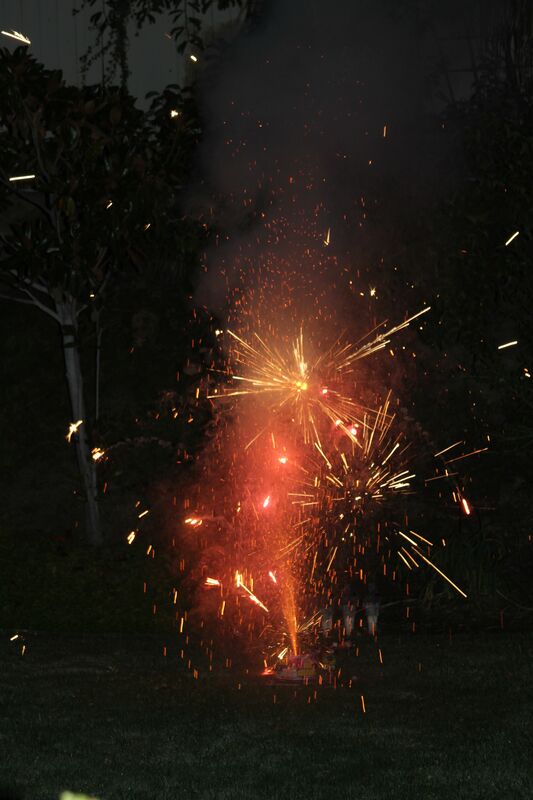 Here are some of the backyard fireworks. 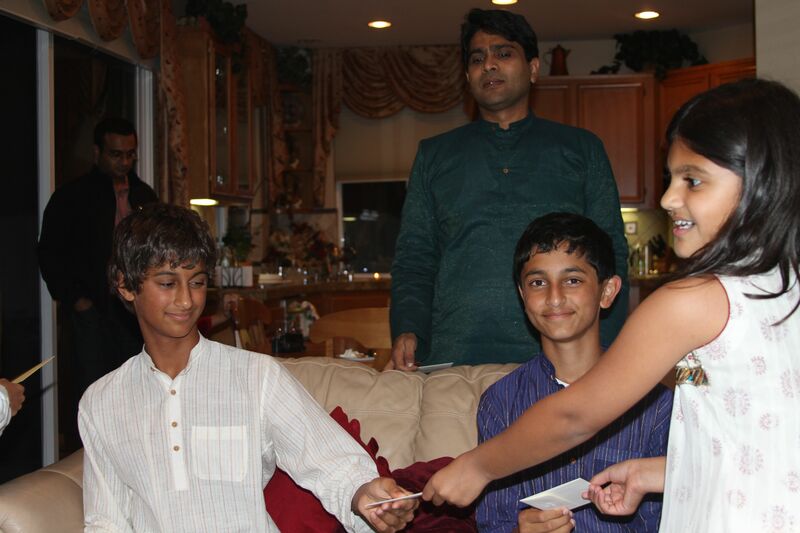 The boys graciously accepting their gifts!